Our mission at Bakashana is to inspire Zambian women and girls by providing them a future of choice through education, livelihood training, health services, leadership mentoring, and cultural exchange. By embracing a strength-based, culturally relevant approach that combines ancestral wisdom, the cultivation of healthy relationships, & access to contemporary resources, Bakashana empowers young women to become leaders in their communities. Bakashana’s primary work involves young women living in rural areas, who have successfully completed their grade 7 education, yet lack the financial or familial resources to attend secondary school (grades 8-12). 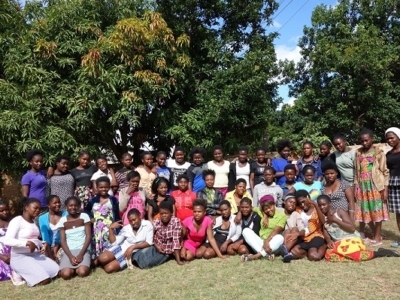 Bakashana specifically targets young women living near Kasama, the provincial capital of Zambia’s Northern Province. Bakashana is a Bemba word that refers to a young woman. With a tonal difference, it means “the dancer.” Our program is dedicated to working with young women from rural areas as they discover the joy of their work, community and life.